AUGUSTA, Ga. – The last guy into the Masters left no doubt he deserved his spot. 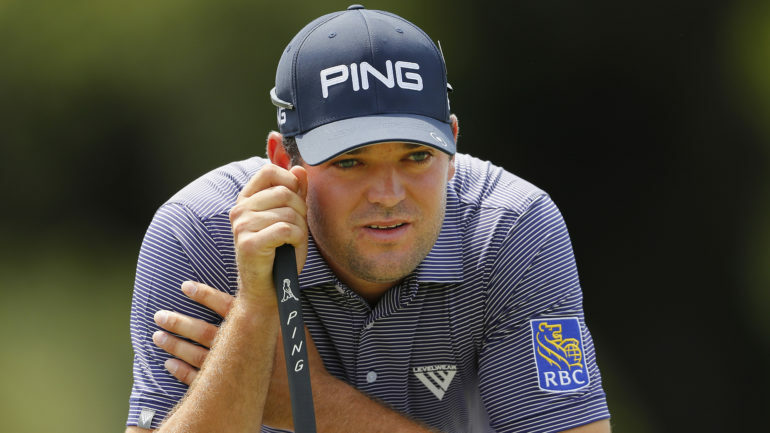 Corey Conners followed up a thrill at the first tee – a greeting from Jack Nicklaus – with a 2-under 70 that put the Canadian in solid position after the opening round Thursday. “I feel like I belong,” Conners said. Playing in the first group of the day, he got a chance to watch Nicklaus and Gary Player hit the ceremonial tee shots that traditionally kick off the first major of the year. On his way back to the clubhouse after his one and only swing, the 79-year-old Nicklaus congratulated Conners on last weekend’s victory at the Valero Texas Open – the performance that got him into the Masters as the final entrant in the field. The 27-year-old native of Listowel, Ont., endured a sluggish start, playing the front nine at 1 over. He was solid off the tee, but a little too cautious on the treacherous greens. Then in the middle of the back side, Conners made his move. He rolled in back-to-back birdies at the 13th and 14th holes before making eagle at the par-5 15th. After a booming drive left only 212 yards to the green at the bottom of the hill, Conners launched his approach over the water, the ball coming to a stop just 6 feet past the cup for barely more than a tap-in. A three-putt bogey at the final hole put a bit of a damper on his day. Not after his improbable journey just to claim a spot in the first major of the year. Since he’s currently ranked outside the top 125 in the FedEx Cup, Conners had to go through Monday qualifying just to get into the Texas Open. He made a 20-foot birdie at No. 18 to sneak into a six-man playoff for the final berth in the actual tournament. Then, with a birdie at the first extra hole, he eliminated the other five contenders. With a 10-birdie round on Sunday, Conners captured the first PGA Tour victory of his career – and an invite to Augusta. Conners certainly understands the enormity of the odds of everything falling into place the way it has. Conners is off to a much better start than his only other appearance in the Masters. After qualifying as an amateur in 2015, he opened with an 80 that left him no real chance of making the cut. Now, with another solid round, he’ll be heading on to the weekend for the first time. He has plenty of fans cheering him on. Mike Weir, the 2003 Masters champion and the only other Canadian in the field, shot a 72.